Water filters are essential in any household that values its health. With the evolution of water filtration models, the market is now saturated with different makes and models of water filters, and we decided to make some sense of what they all are. The answer is straightforward; your water source is the municipal water feed. While the municipal water treatment stations might produce great results, what they don’t take into account is the state of the water as it flows from the plant to your home. These long pipes have been lying around for decades and, in some instances, over a century. These water distribution pipes are filled with dust, debris, and microorganisms that all feed the water and feed off the water while it travels along to your tap. So, what you get at the end of the pipe is not the best drinking water solution. Now, let's add to this scenario the additional chemicals the municipality adds to the water to "clean" it up—chemicals such as chlorine and fluoride. They might be great for killing germs, but they are also known to form carcinogenic compounds when coming into contact with certain materials that are found in the pipes. This is not all; let's go to the third level of "OMG": Cryptosporidium—yup, science likes to give the smallest of organisms long names, and this one is a chlorine-resistant micro-organism that can give you severe diarrhea and dehydration if you don’t mechanically filter it out. Let's cap all of this off with the final killers: leakages into the water system that can contaminate it with anything from heavy metals such as lead, like in the Flint water crisis to dichlorodiphenyl dichloromethane (DDT). Now that you have been scared into sitting up and buying bottled water in a carcinogenic plastic container, let's provide you with a more healthy and easy way to obtain a method of clean drinking water that is directly sourced from your main water line. The popular and most abundant filter material on the market, the activated carbon water filter is cheap, is easy to use, and is small. The charcoal particles are porous and active and absorb all gases and solids in the water feed. Distillation is a proven boiling method where the water steam is condensed back into liquid water. This method is a more efficient means of boiling water. Zeolite beads—that’s the name for an ion exchange filter material. These aluminosilicate-sodium-filled beads attract calcium and magnesium, and this is how they trap these minerals while releasing the sodium. These are the most comprehensive filtration systems and are also found in most third-world countries such as the Philippines. 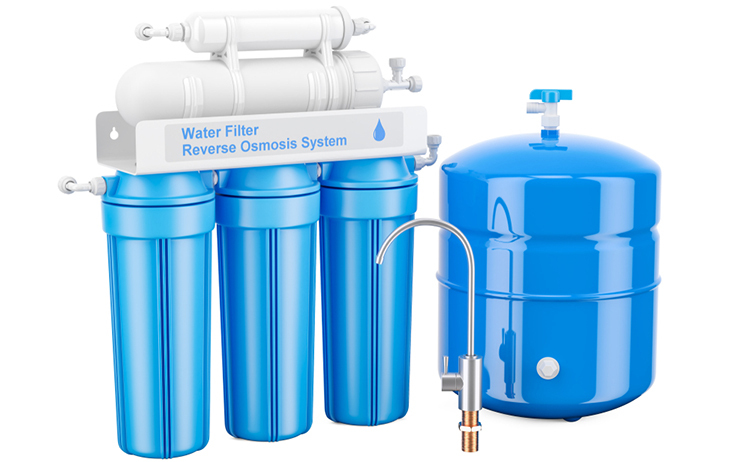 The reverse osmosis filter system uses three filters that filter out contaminants, based on three different principles, the most important being the reverse osmosis membrane that filters out contaminants based on molecular size. Filtering water is done by boiling and, for more advanced systems, distilling. In most campsites and survivalist exercises, boiling water is the most efficient system to remove most of the contaminants, but it will not remove heavy metals and other higher boiling-point liquids. As the world of water filtration evolved, more systems were incorporated to help in filtering water of its impurities. Today, the best filtration system is reverse osmosis, and this is considered to be the "water purification" system, due to the quality of the water at the end of the process. Let's look at how each method works. Absorption is the power of activated carbon. As the water is filtered through activated carbon, the contaminants are pulled into the porous fibers of the material. However, lime scale nitrates, fluoride, sodium, and microbes are not held by the carbon. Another issue is that the carbon elements get clogged with use, and that is why you need to replace these filters frequently. This might seem to work, especially for removing heavy metals and other such solids. However, in reality, any contaminant that is not killed by the heat and which converts to steam before water’s boiling point will also flow through into the final product. Remember those zeolite beads? Well, the water will not contain lime scale and other contaminants, but the sodium released into the water makes it salty. Ion exchangers percolate water through spherical aluminosilicate beads. The various ions in the water are exchanged with the sodium ions in the beads, and this cleans up contaminants. 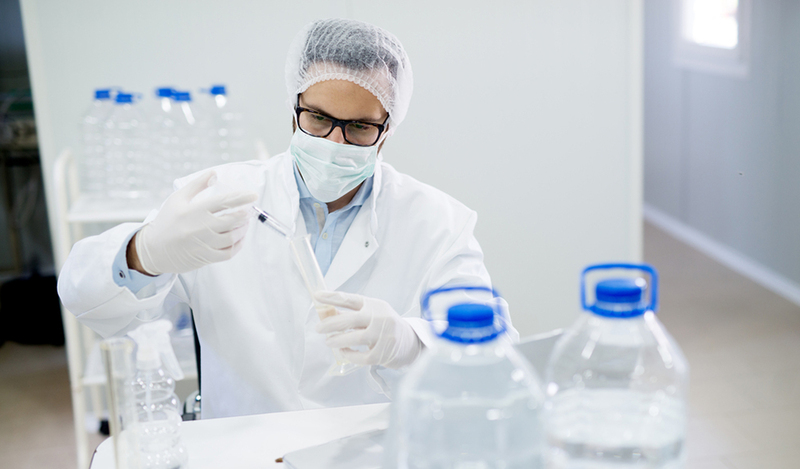 Ion exchanges also soften the water during the RO process. 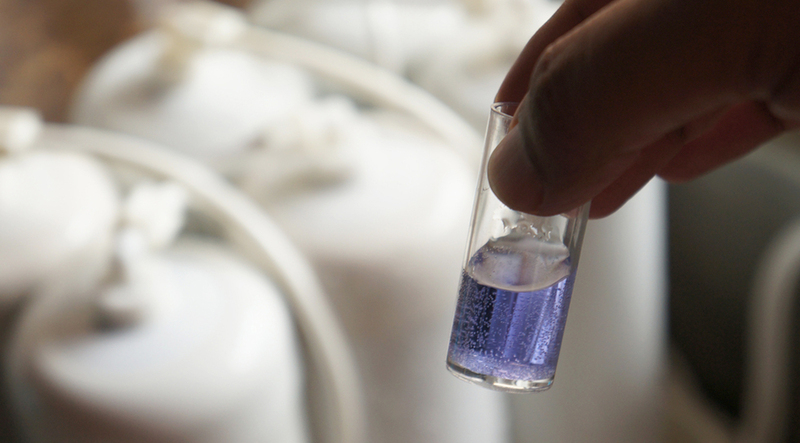 One of the water filtration processes is all about reducing the water’s pH levels to acceptable drinking standards. If you remember from school, pH7 is the clear water level. Anything below 7 is acidic, and anything above it is alkaline. Both extremes are corrosive to human tissue. For example, bleach is pH12, and apple juice is pH3. 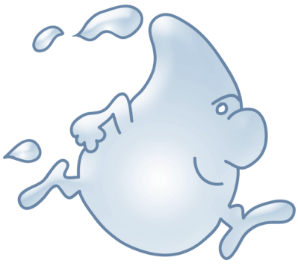 The normal pH range for drinking water is anywhere between 6.5 to 8.5. The softening process that ion exchangers provide refers to the softening of the pH level to within this acceptable drinking range. First filter: Blocks out the rust, dust, debris, and other contaminants. Second Filter: Uses active carbon. Third Filter: Uses denser active carbon. Fourth Filter: Uses an RO membrane. Fifth Filter: Removes bacteria, viruses, and chlorine, and adds tastes or smells. The only downside of a reverse osmosis system is that it uses a lot of water. What Is the Best Water Filter for You? A whole house water filter system is probably the best unit for you since it is an RO system that provides ultimate protection and delivers pure water to every water outlet in your home. 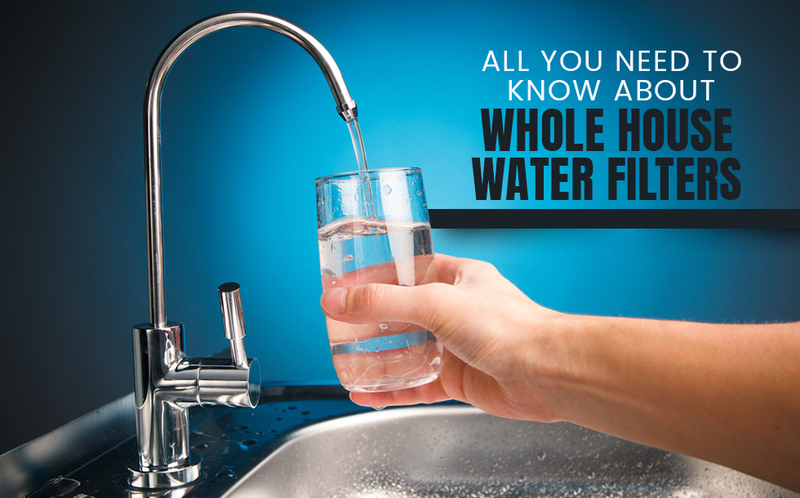 Why choose a whole house water filter unit? Well, because you don’t want to limit yourself to a single source of water. These systems provide filtered water at every source in your house, including taps and showers. Choosing a filtration system is also based on the quality of your water supply. Different locations have different issues, and some locations require specific filters to handle environmental issues unique to where you live. We always suggest you get your water tested, or that you buy a water testing kit and test the water yourself. This will determine what constitutes the major contaminants in your home and will help you decide what filter system is best suited for you. A whole house water filter system is the best solution for your water needs, including drinking, brushing your teeth, showering, bathing, cooking, and cleaning. Whole house water filters come in two versions, the heavy-duty filtration system and the standard capacity water cartridge. These units come in a 50 foot tank and contain many different filters and membranes (RO) that can provide you with anywhere between five to ten years of purified, filtered water before you need to change the media. 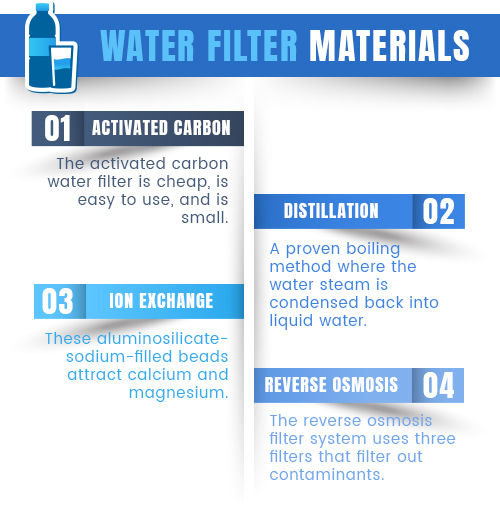 These are your basic water filtration cartridges that are either ion exchangers or active carbon filters placed as a unit by every individual outlet. The filters need to be replaced regularly. For more information about selecting the right type of water filter, check out this article: Selecting the Right Filter. 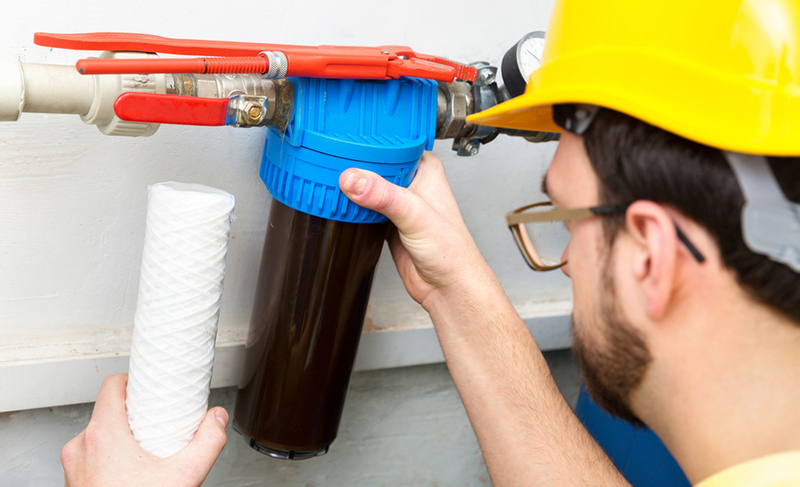 If you are installing a heavy-duty filtration unit, you will need a plumber or water filter professional who will come and look at the capacity requirements. After this, a decision about which system is best suited to your home will rely on your budget and the options offered. Remember that the heavy-duty filtration system will be placed at the source of the water—the mains after your water meter. A Standard Capacity Cartridge is something you can either DIY or hire a plumber to install under every faucet in your house, and you control which outlets have what kind of filter. Don’t mix up filters. Keep one type for the entire home, and just remember to replace them based on the manufacturer’s recommendations. The flow rate is the capacity at which water flows in the system and is measured in gallons per minute (GPM). The flow rate is controlled by the tap you install, and each location and appliance demands different flow rates for optimal performance. In most households, a flow rate of 15 to 40 GPM is required to maintain maximum efficiency of all requirements during peak hours. Anything under 10 GPM will lead to failure in the higher units, which means the higher you are, the less likely you are to get water. Size does matter since the filter’s size will determine how many times (frequency) you will need to change it. Size is also important for maintaining a good GPM. The smaller a filter unit, the lower the GPM, and you will impact your entire household source of water. Ideally, the filter size should be no less than 4.5" x 20"; however, in some larger homes, you might need to reach 25 GPM, which requires larger port sizes of 1.5". A 4.5" x 20" carbon filter cartridge can last anywhere between 100,000-150,000 gallons of normal municipal water supply. Unused water filters don’t expire unless otherwise stated in the manufacturer recommendations. However, once a filter gets wet, even if not used in a system, you have to replace it according to the manufacturer's recommendations. Most homes only require 1" port sizes, and, even if the household piping system is 3/4", you should use a 1" port. Larger homes will use a 1 1/2" port. 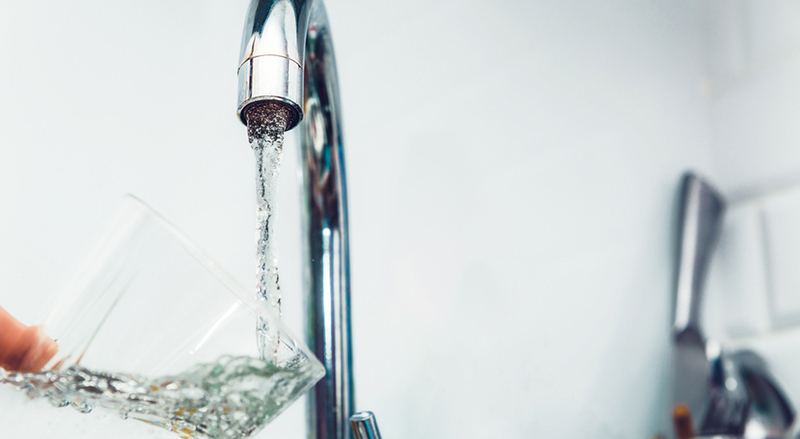 The National Sanitation Foundation (NSF) and Water Quality Association (WQA) both have testing initiatives that review and monitor what water filter manufacturers produce. All manufacturers must comply with EPA Primary and Secondary Drinking Water Regulations. The WQA also has a "gold standard" listing of manufacturers that have passed testing. Another NSF requirement is that manufacturers alert consumers about device or filter failures and that they will provide testing kits for the validation process. There is a wide selection of whole house water filters on the market, such as the Culligan D-20A, which uses a granular activated carbon filter to remove excess chlorine and other contaminants. This whole house water system is recommended for both city and well water supplies. The filter is good for a year or 1,000 gallons. The Aqua-Pure AP110 is one of several whole house water filters offered by this company. This particular model is for the budget-conscious homeowner who doesn’t want to sacrifice quality. The cartridge filters dirt and rust in addition to other contaminants. The filter must be replaced every six months, and it comes in an economical two-pack. Other popular whole house water filter brands include GE, Omnifilter, Filtrex, Pentek, and KX Technologies. Different brands and models produce various water flows and block different contaminants, so a water test and your usage will determine the most suitable water filter system for your needs. There are many household water filtration systems, and they need to be carefully selected to suit specific household requirements. Before you decide to buy a water filter, check your water first. Perform a water test and find out what is the best solution for your home based on the type of water you receive and also check the amount of water you consume every month, so you know the scope of your usage. Consider also the water you use for gardening purposes and consider factoring that out of your household usage. Once you know the amount of water and type of contaminants, you can discuss options for filtration with a professional.